How Should I Be Mowing in the Spring? It’s springtime once again, and with spring, comes lawn work to keep your yard looking beautiful. Likely, you’ll want to begin with mowing, so you can keep your lawn healthy, lush, and disease-free. However, you’ll only be able to do this if you mow your yard at the proper height. What height should you mow your lawn at? It ultimately comes down to the type of grass you’re growing, and what your lawn’s condition is. For each one, you’ll obviously want to use a sharp mower blade, since a dull blade weakens the health of your grass. The only way to keep your lawn looking its best is to understand the importance of proper mowing in the spring. Mowing warm season grass will require a different approach than mowing cold season grass. You will need to understand the differences in mowing each of these to ensure your lawn will be healthy in the spring. Mowing warm season grasses requires you to mow regularly and often. You want to make sure that, at most, you remove 1/3 of the length of the grass. Bermuda grass needs to stay between a length of 3/4ths of an inch and 1½ inches. While in most cases you want to avoid scalping your lawn, Bermuda grass is the exception to this rule. To do this, you’ll need to put your lawnmower on its lowest setting. If you follow these guidelines for mowing Bermuda grass, then you will have an easier time maintaining its appropriate height, and it will become green faster. In springtime and summertime, keep this kind of grass between two and three inches high. Understandably, keeping up with the grass can be difficult with a busy schedule. If you don’t have time to mow your lawn, contact a Tulsa mowing company. Starting in spring, you need to keep your Fescue grass no shorter than 3 inches, but once the weather warms up you need to keep it shorter than 3 inches. Otherwise you will risk the grass developing diseases or suffering from heat stress. Unless new grass has recently been laid out, you should try mowing weekly. Also, be sure not to remove too much from the grass blade when mowing. Take no more than 1/3 of the blade off at once, or it’s energy reserves will deplete faster. 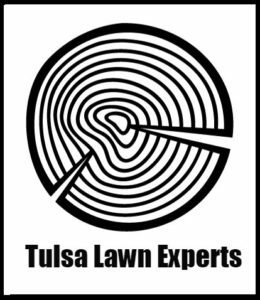 If you have any questions or concerns involving your grass, contact a Tulsa lawn company near you for more information.